I Me My: "Hope-Obama Fever/ Fervor" - a Worldwide Phenomenon? "Hope-Obama Fever/ Fervor" - a Worldwide Phenomenon? to hear them sing and perform. greatly loved and admired stars that performed on the stage. they know that that was their vote that got Obama to the White House. 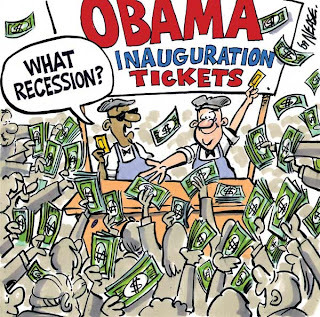 Obama Fervor is catching on! What a beautiful and poignant take on things. I am so excited for tomorrow. History. Change. Hope. Wow! Today's newspaper carried a column by Frank Rich in NYTNS ( White Like Me) and that looks beyond this Obama angle and explains how complex the issue of racism in America is - a vantage view that does not cease at Obama taking over, but rather starts at Obama taking over.. Hope is good, but i'm a cynic and i'm outside this country - therefore my question would always boil down to how much he understands South East Asia...black or white is secondary there. Hoping again and again, that this hope proves to be fruitful. That was wonderful to read. I'm glad that he was able to be here at the time and view it all for his self. He'll carry that image back home with him. The American sense of optimism can be overwhelming and can make the darkest hell look like paradise.